Are you looking for a highly capable SUV, but don't know which one to pick? The reality is, the entire Jeep SUV lineup is worth looking at, with each vehicle giving you a unique style. Among this lineup is the Compass, which sits perfectly between the Renegade and Cherokee models. 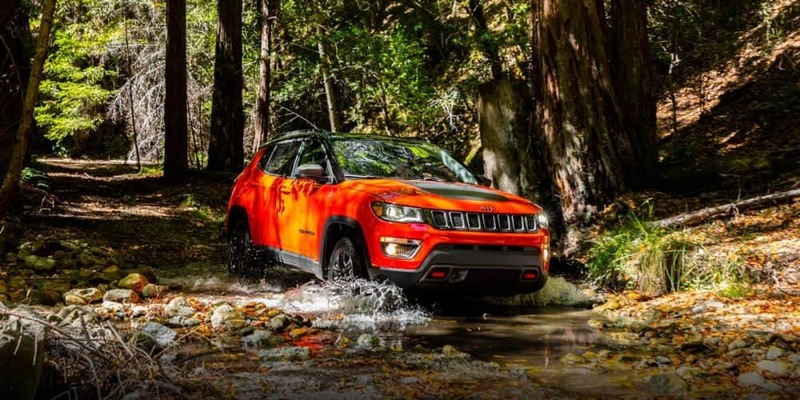 The Jeep Compass has made a name for itself through its perfectly sized body, and the front end that, while exuding the Jeep look, also has its own sporty design. In 2019 there are only a few changes to the Compass, which mostly just includes a shuffling of feature availability throughout the lineup. 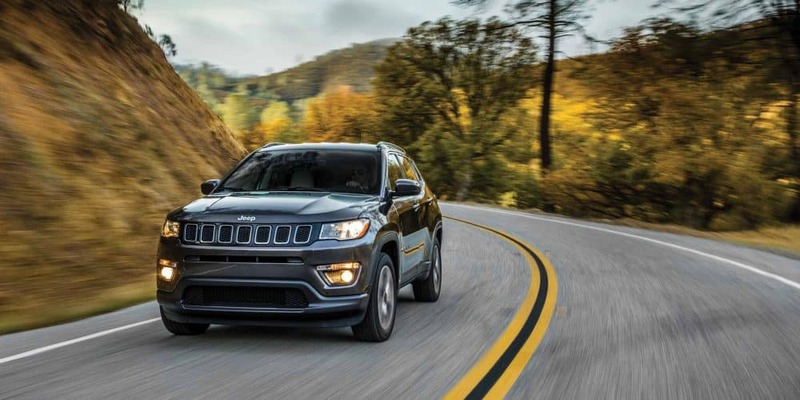 If you're looking for an SUV that comes with easy-to-use technology, that is incredibly roomy, and offers high-quality materials--then you need to keep reading to learn more about the 2019 Jeep Compass. What kind of safety features come with the Compass? While model options and engine power are always important, one can never forget the importance of safety. 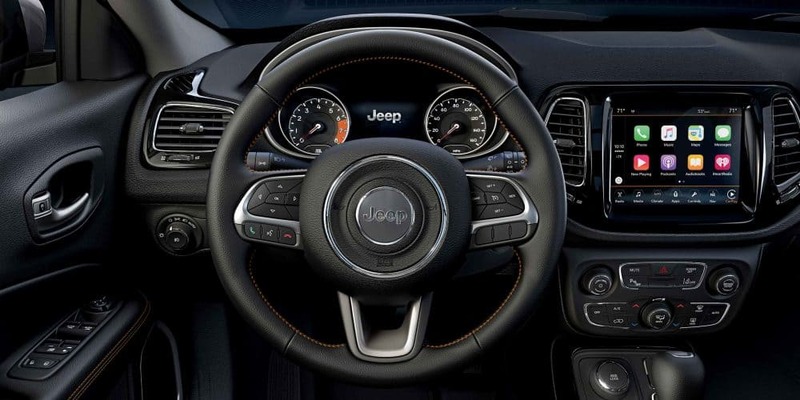 Jeep understands the need for a safe driving environment for the driver and passengers, and because of this, they have outfitted the Compass with over seventy standard and available security and safety features. Some of these features include adaptive cruise control with shop and go, blind-spot monitoring, rear cross path detection, a ParkView rear backup camera, ParkSense rear park assist, 7 standard airbags, high strength steel chassis, and full-speed forward collision warning with active braking. What model lineup comes with the 2019 Compass? The Compass comes in four available models. These models include the Sport, Latitude, Limited, and Trailhawk. 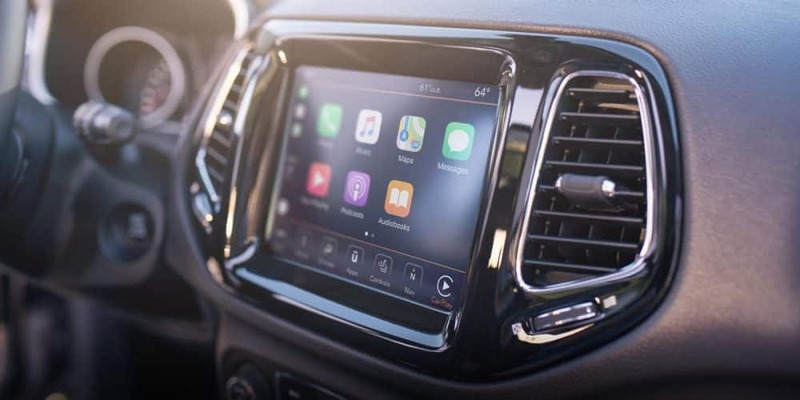 The Sport model comes with features like a seven-inch touchscreen display, 16-inch wheels, a six-speaker sound system, a Uconnect system, Bluetooth connectivity, and air conditioning. 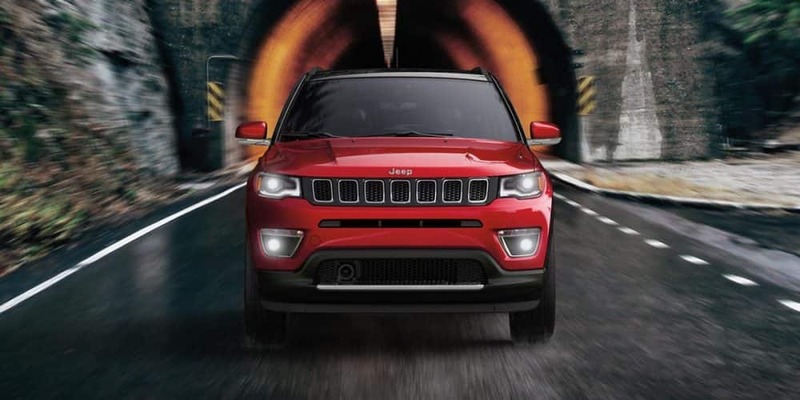 If you're looking for a Compass that takes hold of its Jeep roots, then you might want to check out the Trailhawk. This model comes with features like a matte-black hood accent, off-road-oriented tires, a raised suspension, red tow hooks, a Selec-Terrain system, 17-inch wheels, and underbody skid plates. 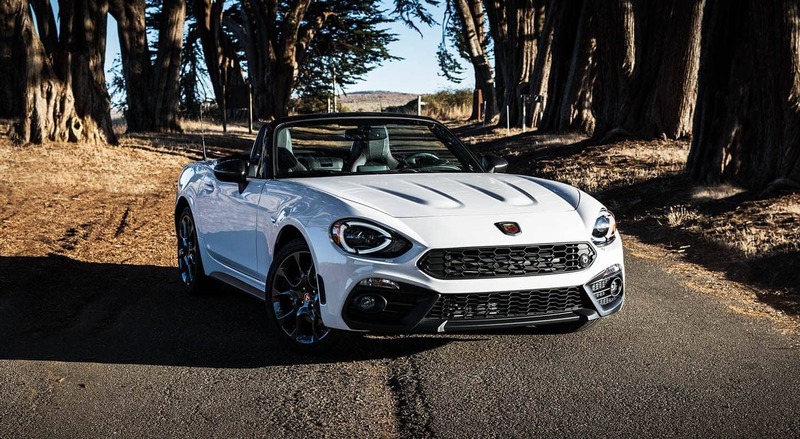 For a luxurious option, consider the Limited. The Limited includes an upgraded driver information display, remote start, leather upholstery, Apple CarPlay and Android Auto, a power-adjustable driver's seat, an 8.4-inch Uconnect touchscreen, satellite radio, heated front seats, automatic dual-zone climate control, and a heated steering wheel. Throughout the model lineup, you can add further options, like a Cold weather package, a sunroof, a power liftgate, an Advanced Safety package, a premium Beats audio system, and a navigation system. In order to power such an impressive machine, a reliable engine is necessary. 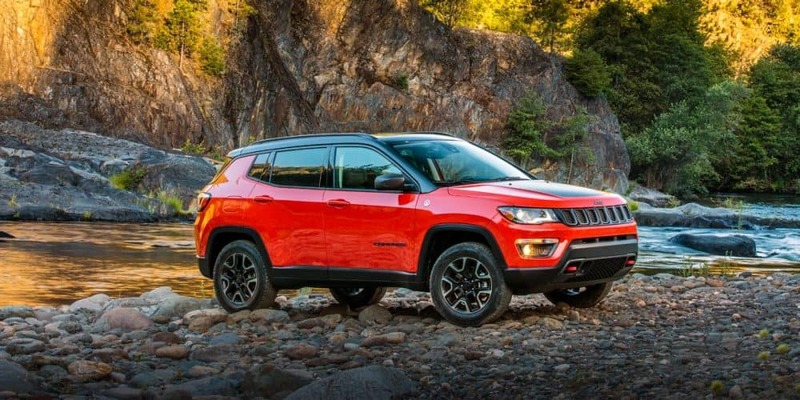 Jeep has outfitted the 2019 Compass with a 2.4-liter inline-4. This engine can output 175 pound-feet of torque and 180 horsepower. The transmission that pairs with this engine is dependent on the trim level. 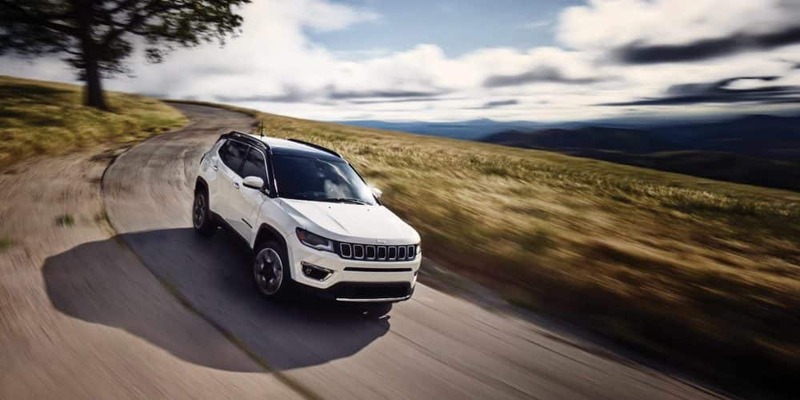 The Sport and 4WD Latitude trims have the option of either a six-speed manual or six-speed automatic transmission, while the Limited and Trailhawk trims get a nine-speed automatic transmission. The automatic transmissions automatically come with start/stop technology, which makes saving money on gas easier than ever. Two-wheel drive is the standard drive train, although four-wheel drive is also available. If you choose four-wheel drive, the towing capacity of the Compass is up to 2,000-lbs. The fuel economy varies, with the 2WD manual configuration getting you 23 mpg city and 32 mpg highway. The SUV of your dreams is here in the form of the 2019 Jeep Compass. 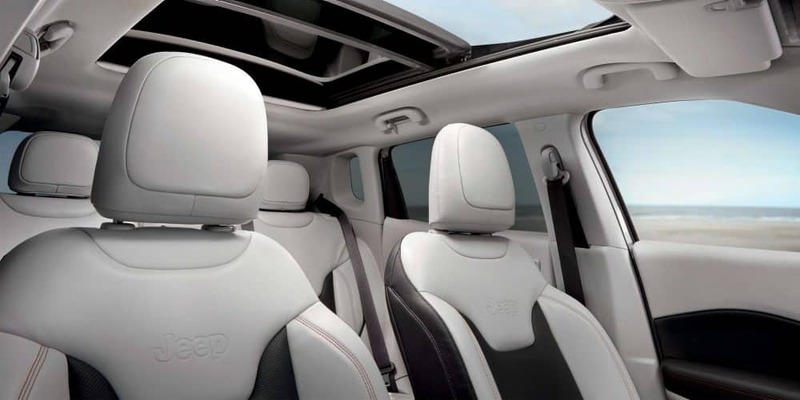 This natural fit into the Jeep lineup gives you a perfect size that doesn't make any compromises when it comes to interior comfort and accessibility. Schedule a test drive with us today to get yourself into a 2019 Compass as soon as possible!